For most of us, change happens slowly, if at all. But as the recent holiday season fades into the distance, many of us wish to be increasingly proactive this year and take real action on the numerous New Year's resolutions that we made in regard to our health and well-being. Back in December, many of us formulated resolutions such as "I'll start going to the gym" or "I'll lose weight" or "I'll go for a walk every day". 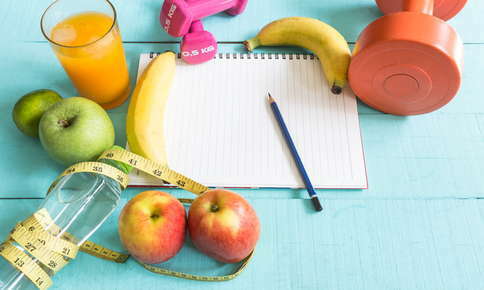 Although these are worthy aspirations, in order for us to actually make progress in the areas of health and wellness, quantifiable and measurable goals are required. By declaring what we intend to accomplish and by when, we are providing instructions to our internal goal-accomplishing mechanism that will make all the difference. By creating specific targets such as "By February 1st, I will begin a strength-training program and workout at the gym for three 45-minutes sessions each week" or "By February 1st, I will begin a daily 2,000-calorie weight optimization program including consuming five servings of fresh fruits and vegetables a day" we provide our subconscious mind with specific goals. Just as an automobile driver needs to know precise directions in order to reach the destination safely, our internal steering mechanism will assist us in fulfilling our goals, based on specific directions and instructions. For example, once oriented toward accomplishing good health, our subconscious mind may bring to our conscious attention the healthy opportunities around us. We begin to recognize and focus on matters of importance regarding health and wellness such as new offerings at your local fitness center or specials at your nearby organic market. Without being an agent of change, this information would have never penetrated our selective perception and awareness. As well, our renewed focus on overall health may point us in the direction of obtaining regular chiropractic care. Regular chiropractic care helps us achieve and maintain optimal functioning of our spinal column and other major components of our musculoskeletal system. By focusing on spinal wellness and optimizing performance of the nerve system, our body's master system, regular chiropractic care helps ensure that we are reaching maximal levels of health. In this way, regular chiropractic care supports and reinforces our intentions of achieving increased health and wellness for our families and ourselves.